Plans for a prestigious 13-storey office development, designed by TP Bennett is set to go ahead after the City of London gave it full approval. 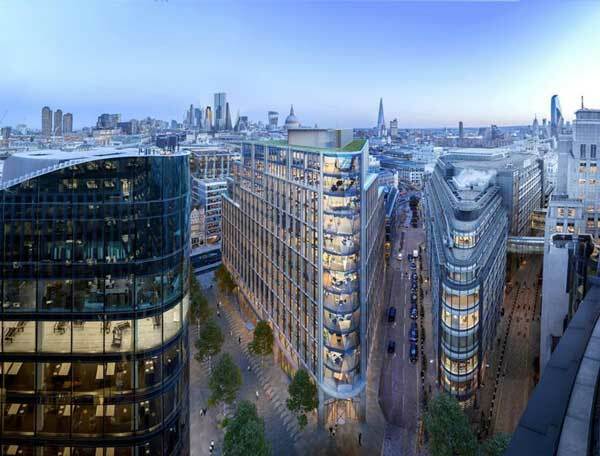 Construction work is expected to begin in May and will include the demolition of two existing buildings – 81 Farringdon Street and 1 Stonecutter Court – to make way for 32,000m² of new office space. The design of new build structure will also include six roof terraces, 1,200m² of retail space and 230m² of public realm improvements. Adding some complexity to the scheme, the Hoop & Grapes, a grade II-listed pub dating from the 18th Century, will remain untouched as the development goes on around it. Developer Greycoat, has appointed Hoare Lea as energy and BREAAM consultant, Pell Frischmann as structural engineer, Arup for security and GVA as project manager.